Food and Mood ... What's The Link? With mental health and conditions such as depression and anxiety disorder becoming more recognised, as a population we are starting to become more aware of the factors that can influence our mood. I’ll lay it out straight. Nutrition isn’t the bee-all-and-end-all but it can be an amazing tool to help create a steady state within the body. Diet plays a key role in energy maintenance, preventing deficiencies and consequently the production of hormones and neurotransmitters (both of which are vital when we’re talking about mental health). · Omega 3 fatty acids – Research shows that a significant decrease in omega-3 consumption can be associated increase in depression symptoms. Let’s get a little technical. The fatty acid, Eicosapentaenoic acid (EPA) gets converted into docosahexanoic acid (DHA) and have been associated with antidepressant effects. · Healthy fats – We’re finally starting to overcome our fear of fats… They’re incredibly important to our overall health and here’s why. Cholesterol and healthy fats are essential for hormone production. When hormones are produced in balance there’s a reduced risk of depression. Avo, oily fish (from last week tuna is no longer classified as an oily fish), olive oil, nuts and seeds are all sources of healthy fats. · B Vitamins - Deficiencies in B vits, namely Folate (B9) and B12, have been linked to depression. Wholegrains and green leafy vegetables are rich in B9, whilst meat and fish are good sources of B12. · Tryptophan - Tryptophan is an essential amino acid (a building bock of protein) may have a natural relaxation component. Tryptophan helps to produce Serotonin aka “the happy hormone”. As Tryptophan is essential we have to obtain it through the diet. Some studies suggest that Tryptophan may help to reduce anxiety. Foods rich in Tryptophan include: oats, soy products, chicken and turkey and sesame seeds. · Magnesium - Magnesium plays a key role in muscle and nerve relaxation. Deficiency has been linked to anxiety like behaviours in animals. Leafy greens, legumes, nuts, seeds, and whole grains are rich in magnesium. Alternatively you can get your fix through skin sprays or Epsom salt baths. · Pre and probiotics - Recently we’re starting to understand more about the role of the gut on overall health. Eating a wide variety of plant based foods (specifically fibrous fruits and veg) is important for a diverse microbiome. Studies have shown compelling links between probiotic foods and a reduction in depression. Eating probiotic-rich foods such as pickles, sauerkraut, and kefir was linked with fewer symptoms. Ensure you’re eating fibre rich vegetables, pulses and legumes, kimchi, cabbage and live yoghurt. · Sugar - A diet high in refined sugar can cause constant blood sugar spikes and crashes which is linked to mood highs and lows. 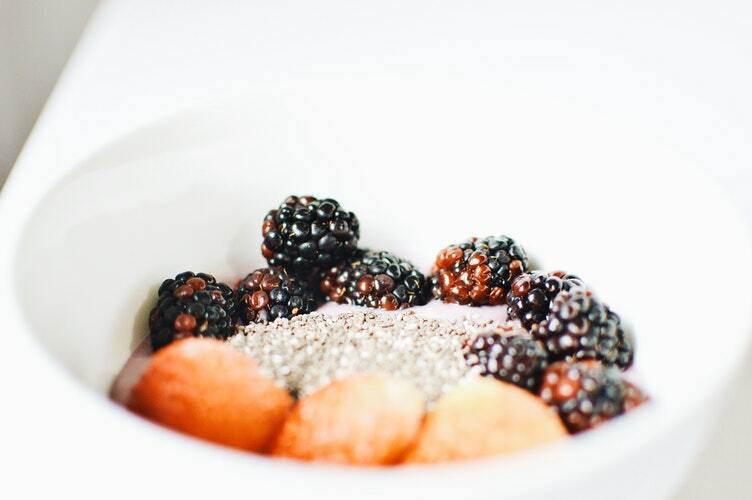 Limit high sugar foods and opt for complex carbohydrates (starchy veg, quinoa, oat and wholegrains), high quality protein and healthy fats to help stabilise blood sugar levels. · Dietary Stimulants - Stimulants such as alcohol and coffee can play havoc on your mood and as a result I recommend limiting them if you suffer with managing your moods. Evidently there’s a link between what you eat and how you feel. It’s important to note that there are other factors which can play a role so please seek personalised advice. To book a consultation please email me at jennahope@jennahopenutrition.com.